Steam asparagus until tender but crisp. Drain and keep warm. Meanwhile, heat butter and oil in a frypan over medium heat. Rub fish with salt and pepper. Place fish in pan and cook 3 minutes a side until just cooked through. 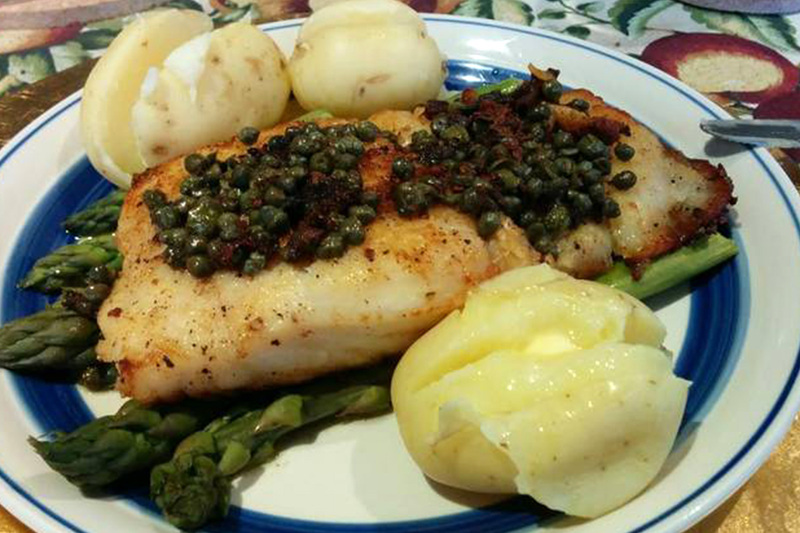 Divide the asparagus between four heated serving plates and lay the fish on top of the asparagus. Return the frypan to heat, stir in the capers and cook 30 seconds. Divide the sauce over the fish and serve immediately.